Last we left the comedic reality show known as “Stupidity vs. Chick-fil-A“, Chicago Mayor Rahm Emanuel, Chicago alderman Joe Moreno and Philadelphia councilman Jim Kenney promised to block any Chick-fil-A plans to expand in their areas. Aside from the obvious hypocrisy—which Moreno still refused to recognize—there was the issue of unconstitutional abuse of government authority. Amusingly, several other liberal, gay-marriage-supporting writers have also condemned Emanuel, Moreno, etc. since my original article. Conor Friedersdorf of The Atlantic points out Emanuel’s double standard that Emanuel campaigned for two presidents who opposed gay marriage. Atrios at his Eschaton blog wasn’t surprised that Rahm Emanuel said something “really horrible and stupid” regarding Chick-fil-A. Scott Lemieux, John Cole and many others have echoed those sentiments. Remember, these people are all liberal and support gay marriage, not conservative Christians. Wow. When the ACLU tells a liberal he is doing something wrong, that is the ultimate slap in the face. With the proverbial handwriting on the wall as they continue to get hammered by even their liberal comrades, both Emanuel and Moreno have backtracked from their stances, arguing that they never said they were going to block Chick-fil-A’s expansion plans. 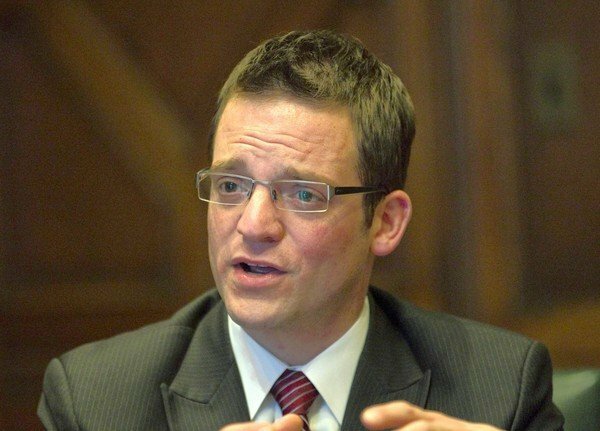 Alderman Moreno also has tried to rewrite history. When Fox News reached him Thursday, he said traffic concerns were the basis of his objections to the store. Please. Spare us the revisionist history. Just admit you were wrong. And stupid. Even when backtracking, Emanuel and Moreno are still wrong. Maybe Emanuel needs to get out more. As explained in my original post, at least half the city opposes gay marriage. Take me, for example. I live in the city. And Chick-fil-A President Dan Cathy’s values reflect mine. As for Moreno, recall he tried to blame traffic concerns as his reason for blocking Chick-fil-A from his ward. Apparently Moreno needs to get out more too. Newsflash, Joe: Chick-fil-A does sell chicken. And Chick-fil-A, as a business, is neutral on the issue of homosexuality. As pointed out by me as well as liberal commentators, Chick-fil-A has never discriminated against anyone on the basis of their sexual orientation. Even when backtracking, Emanuel and Moreno still don’t get it. Politicians from Illinois can be some of the most nonsensical in the nation. Alderman Joe Moore once famously sponsored legislation to ban foie gras, being mocked and derided until the bizarre law was thankfully repealed. Now comes two extremist empty-headed Chicago politicians who make Joe Moore look like a normal person. 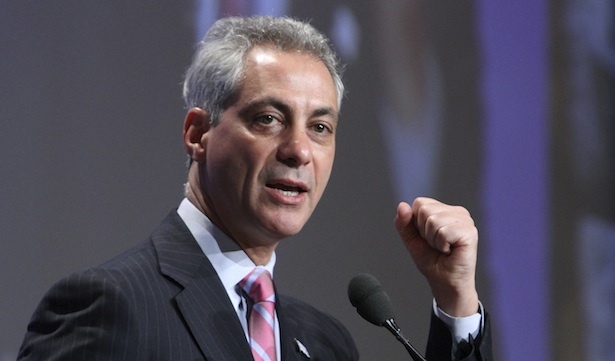 First is Mayor Rahm Emanuel. Emanuel’s reference was to Chick-fil-A CEO president Dan Cathy’s defense of traditional marriage and anti-gay marriage stance. That’s funny. Apparently, Rahm’s values are not Chicago values either. Looks like Emanuel is a bad investment too. Anyway, despite having had the best public education money could buy, Emanuel apparently flunked math. A 2010 Chicago Tribune poll showed 42% of Chicago-area residents support gay marriage while 42% opposed it. In other words, dead even. Looks to me like Chick-fil-A values are at least half Chicago’s values, Rahm. Then there’s Alderman Joe Moreno. Like the enlightened mayor, Moreno said he refuses to allow Chick-fil-A to build a new restaurant in his ward because of Cathy’s anti-gay marriage viewpoint. Moreno angrily responded with an unwittingly self-indicting reply. Okay, Moreno, but that’s what you’re doing too: discriminating against individuals in our society—namely Chick-fil-A’s Dan Cathy. Newsflash, Joe: neither the restaurant nor its CEO has any discriminatory “practices”. As a matter of fact, the Chicago Chick-fil-A has gay employees. And it serves gay customers. Cathy has a personal viewpoint. That’s, um, not the same as a restaurant practice of discrimination. But wait, there’s more. And this one’s a doozy. Apparently, Chicago does not have the patent on political stupidity. Boston’s mayor preceded Chicago’s by saying he didn’t want Chick-fil-A opening up a restaurant there. Emanuel, Moreno, Kenny and all others like them emphasized that as elected officials, they are going to prevent Chick-fil-A from opening up restaurants based solely on an executive’s personal beliefs. There’s a word for that kind of political action: unconstitutional. So not only do these people not have logic, but they don’t know the law either. In fact, liberals are—ironically—coming to Chick-fil-A’s defense against this onslaught of stupidity and ignorance. I find it funny that this saga has united conservatives and liberals, as both come to Chick-fil-A’s defense. In fact, Boston’s mayor Menino has backtracked from some of his statements, chalking it up to a Menino-ism. That doesn’t excuse the obvious stupidity, ignorance and hypocrisy of Emanuel, Moreno and others. But it’s refreshing to see it spotlighted by so many.